If you’re moving to Charleston, you’re not alone. This historic city has seen major growth in the last few years, claiming the spot as South Carolina’s largest city in 2017. While there are mixed feelings among locals about this population growth, most will agree that you can still find plenty of the charm that has always been part of this coastal city. It’s the oldest city in South Carolina, but you couldn’t tell that by walking through some neighborhoods where modern apartment buildings and condos are being put up at an impressive rate to keep up with the demands of the growing population. All history is not lost, however, and you can still visit former plantations, walk on cobblestone streets, and see important Civil War sites. 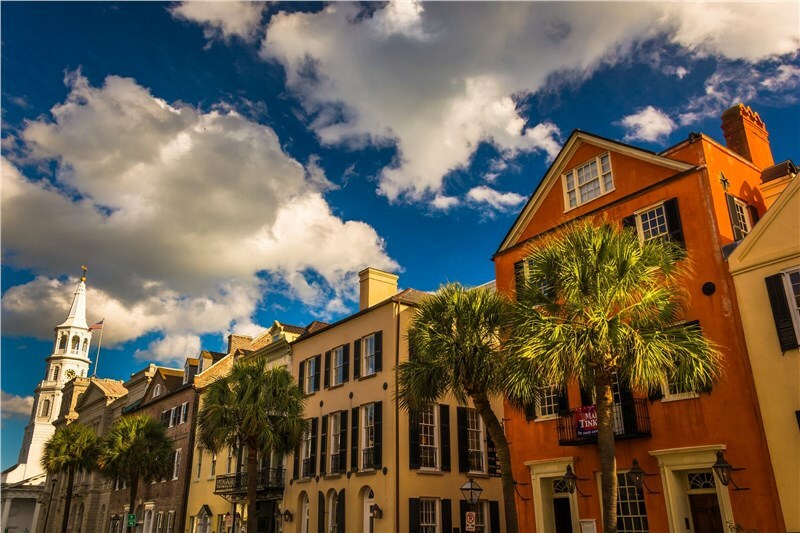 As you plan your move, learn about things to do in Charleston, the best places to enjoy local cuisine, and how to find the area’s best moving company to help with your relocation. Charleston lands on many best-places-to-live lists thanks to its low crime rates, excellent schools, and low unemployment. You’ll also find top-rated hospitals, including a VA hospital, in the city. When it comes to shopping, you’ll find many mom and pop stores. You can also head to the Citadel Mall where you’ll find your favorite national retailers. For groceries, you can frequent chain stores like Harris Teeter along with one of the local farmers markets. Explore the city’s antebellum history by meandering around the grounds of the Magnolia Plantation and Boone Hall. See a retired aircraft carrier at Patriot’s Point. Visit the Confederate Museum and see Civil War uniforms, photographs, weapons, and more. Treat the kids to a day at the South Carolina Aquarium to see the 385,000-gallon Great Ocean Tank. Pop into Blue Bicycle Books to discover rare book treasures. Spend your Saturday at Marion Square Farmers Market where you’ll find stall after stall of locally-grown foods along with delicious, freshly-prepared fare. If there are dogs in your family then you’re going to LOVE living in Charleston—an extremely dog-friendly city. Many of the downtown businesses have bowls of water outside to quench the thirst of their four-legged patrons. Many bars also welcome thirsty pooches to knock one back along with their humans. You’ll find many beautifully kept dogs parks and sections of beaches that welcome dogs. Whether you’re moving to Charleston from another South Carolina city or from the other side of the country, reliable moving services will make your transition easier. Azalea Moving & Storage has been one of the area’s trusted moving companies for more nearly 40 years. Our local movers go the extra mile to ensure everything goes as planned. Since we take care of all the moving-day details, you’re able to focus on learning about the beautiful city you now call home. If you’re planning a local or long-distance move to Charleston, contact Azalea Moving & Storage to learn more about our moving services. Call today, or fill out our online form to schedule a free, no-obligation moving estimate.